As we marinate in the unfolding truths the Lord gives us, they become part of our thinking, our mindsets, and eventually affect our actions. Download Aglow wallpaper to set the vison before your eyes daily. Several weeks before Chuck Pierce’s Head of the Year conference, a prophetic word was given about “the bees are amassing again.” Aglow was mentioned in the prophetic word. 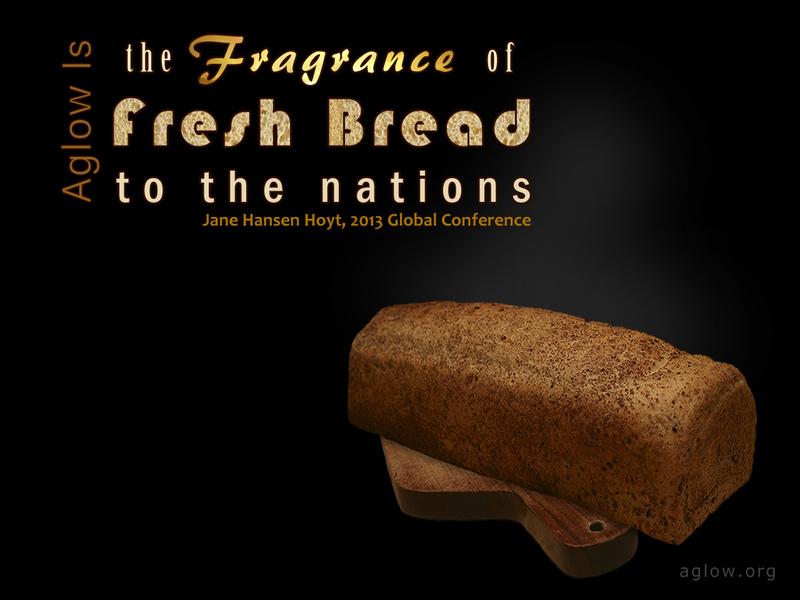 Read more from Jane’s Friday morning message delivered at Aglow’s Global Conference in Orlando, FL. 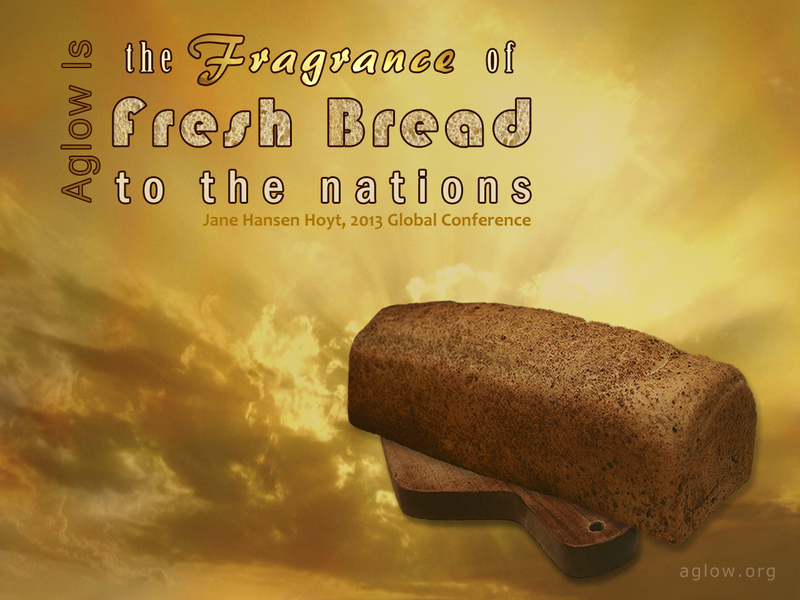 At the 2013 Global Aglow Conference in Orlando, Jane Hansen Hoyt said, "Have you ever walked past a bakery and you’re busy about your day, and all of a sudden the aroma of fresh bread creates desire, creates hunger. It creates a need to taste. That’s been happening in this ministry."